Bryan Singer’s SUPERMAN RETURNS gets a terribly unfair rap, not least maintained by the simple-minded cacophony of online fanboys, whose criticism seems confined to a small array of gripes (e.g: “Superman just lifts things!”; “Superman’s a deadbeat Dad!”; “Superman’s doesn’t punch anything!” etc) that are tediously parroted in a knee-jerk fashion, with determinedly little or no recognition of the film’s strengths. I’m a hearty defender of Singer’s film, in spite of knowing only too well that he essentially remade (and sequelled) Richard Donner’s hallowed 1978 original with a melancholic sheen. 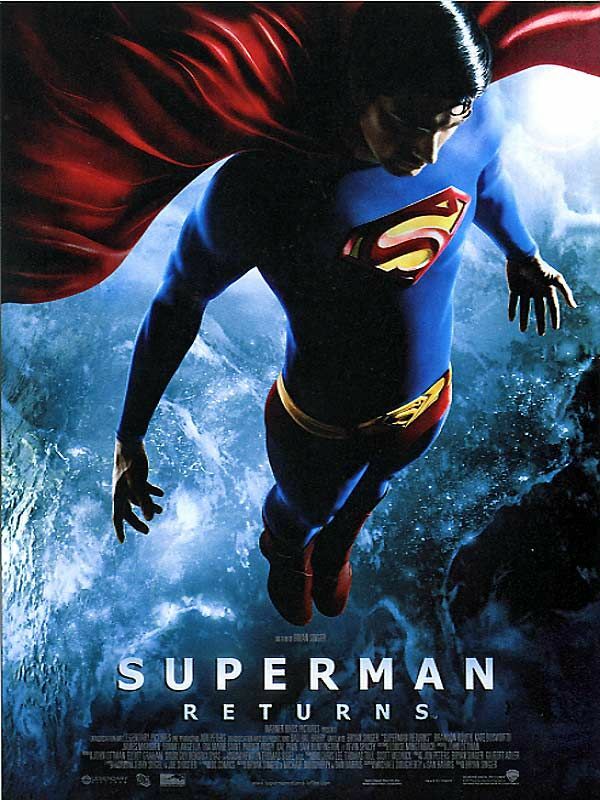 Brandon Routh was a fine Man of Steel – it’s a genuine shame that he’ll never reprise the role – and I consider the film’s deliriously-exciting airline rescue sequence to be one of the very best action set-pieces produced in the last decade, a bravura showcase of digital effects. Yet, what I continue to find particularly admirable was the film’s bold focus on Superman’s most vital element – behind the invulnerability and superpowers, he’s a man with a vulnerable heart – and the film’s plot presents him with a singular emotional challenge – a son unknown to him – that cannot be overcome by physicality. Granted, it may not have been a plot element that was riven with excitement – and one that couldn’t possibly have been ignored in any sequel – but it effectively mined a seam of emotional drama that most summer blockbusters would be less than concerned with. Five years on and the recent release on Blu-Ray of the existing five Superman films released between 1978 and 2006 provided the opportunity to finally see the discarded alternate opening to Superman Returns, a seven minute sequence in which Superman travels, via a crystalline spacecraft reminiscent of that which rocketed him to Earth in Donner’s film, to the radioactive remains of the planet Krypton in a fruitless search for survivors. As cut scenes go, it was a bloody expensive excision – reportedly costing $10 million! – but, as you can see below, it was impeccably rendered and provides a nicely moody atmosphere, if perhaps a little too dark, sedately paced and a low-key introducion of our hero. Does it make a valuable addition to the film? I think so: aside from the opening text, the mission’s failure is only mentioned by Clark to his mother (“That place was a graveyard…”) and it adds a level of gravitas to the later revelation that he was actually duped into leaving Earth, also foreshadowing the climactic peril of New Krypton. It also features a nice development of the detail in Donner’s film that Superman’s S shield motif is actually a family crest of sorts, and it’s certainly dramatic to see it here as a monolithic stone monument. The film’s ultimate opening makes an immediate connection to Donner”s film with the shot of the barren Kryptonian terrain that opened that film – replete with Marlon Brando’s voice over – and so was much more effective in setting out its stall, but the Return to Krypton sequence is far from a deservedly-dumped dud – for ten million clams, one should hope so! Hi, Danny, just wanted to say that I agree with you on SR. I love the film too! I also agree that this scene should have been the original opening of the film for all those reasons you mentioned. It gives us more insight into his character development. The symbol on his chest stands for hope.. and Brandon routh did an excellent job making superman a hero of hope , compassion , and nobility. It’s a shame indeed .